Southern Illinois University Press, 9780809324293, 272pp. 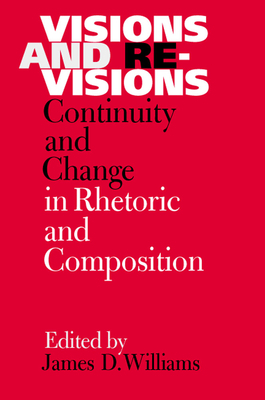 A history of contemporary rhetoric, Visions and Revisions: Continuity and Change in Rhetoric and Composition examines the discipline’s emergence and development from the rise of new rhetoric in the late 1960s through the present. Editor James D. Williams has assembled nine essays from leading scholars to trace the origins of new rhetoric and examine current applications of genre studies, the rhetoric of science, the rhetoric of information, and the influence of liberal democracy on rhetoric in society. Given the field’s diversity, a historical sketch cannot adopt a single perspective. Part one of Visions and Revisions therefore offers the detailed reminiscences of four pioneers in new rhetoric, while the essays in part two reflect on a variety of issues that have influenced (and continue to influence) current theory and practice. In light of the recent shift in focus of scholarly investigation toward theory, Williams’s collection contextualizes the underlying tension between theory and practice while stressing instruction of students as the most important dimension of rhetoric and composition today. Together, these chapters from some of the most influential scholars in the field provide a range of perspectives on the state of rhetoric and composition and illuminate the discipline’s development over the course of the last forty years. James D. Williams is a professor of rhetoric and linguistics and the writing program director at Soka University. He is the author of "The LEA Guide to Composition, The Teacher s Grammar Book, Preparing to Teach Writing: Research, Theory, and Practice, The Interdisciplinary Reader, "and" Literacy and Bilingualism.""